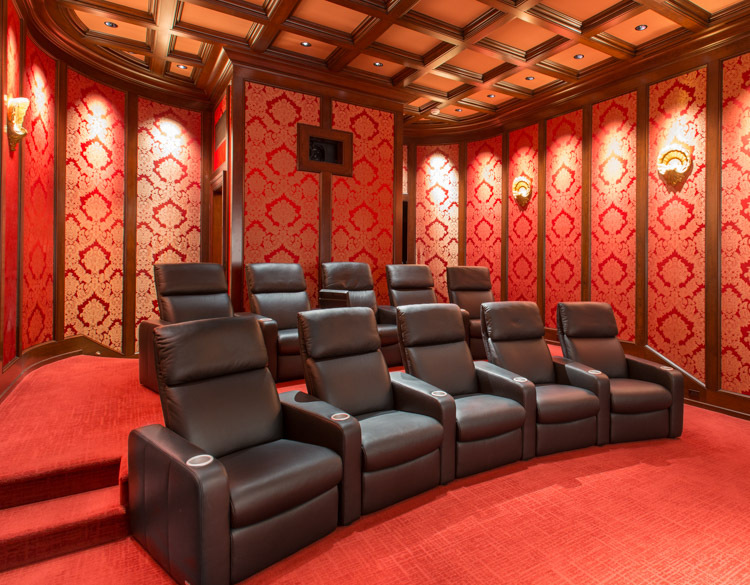 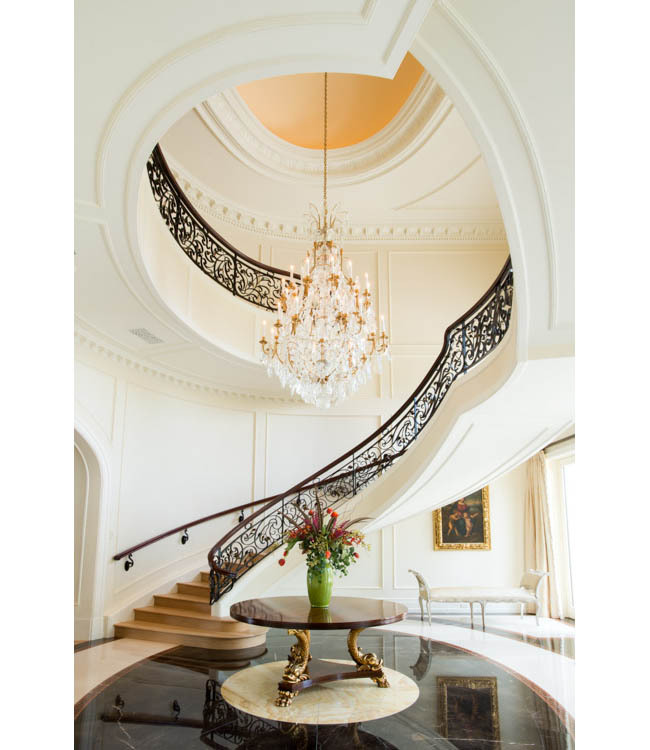 What a privilege it was to work on one of Sarasota’s premier properties with clients who have exquisite taste! 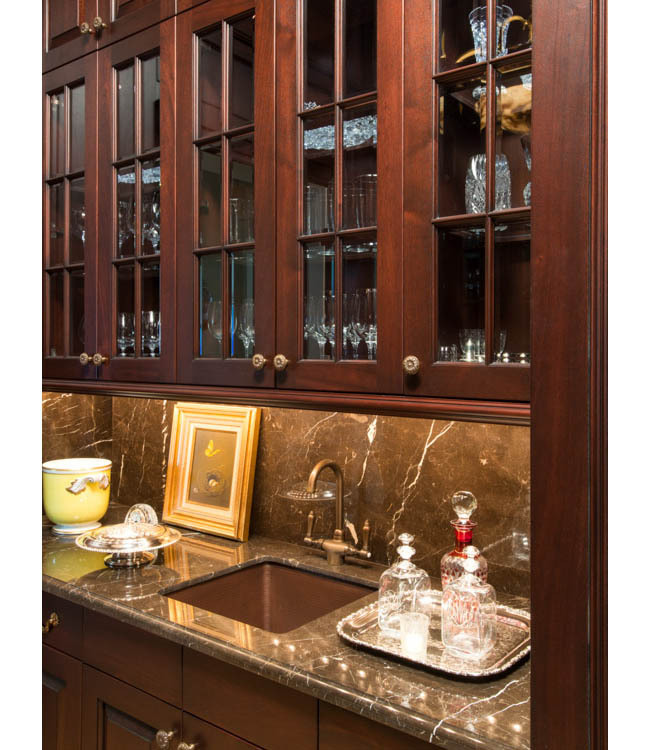 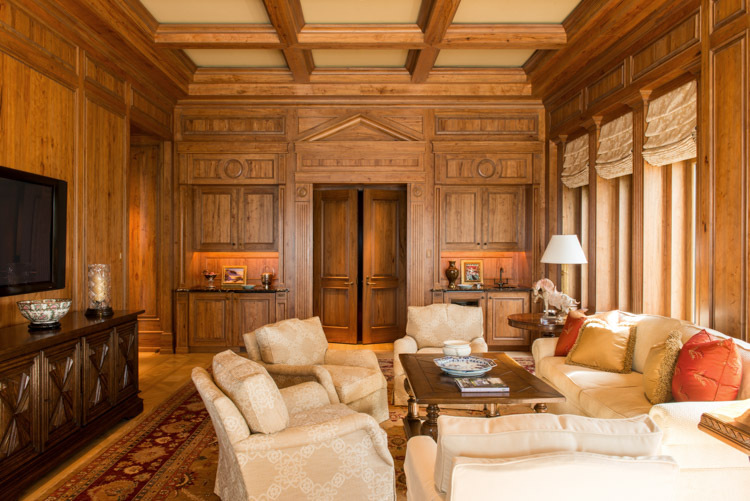 Hughes Design developed the interior architecture and all millwork designs for this wonderful home, and selected all finishes and plumbing fixtures. 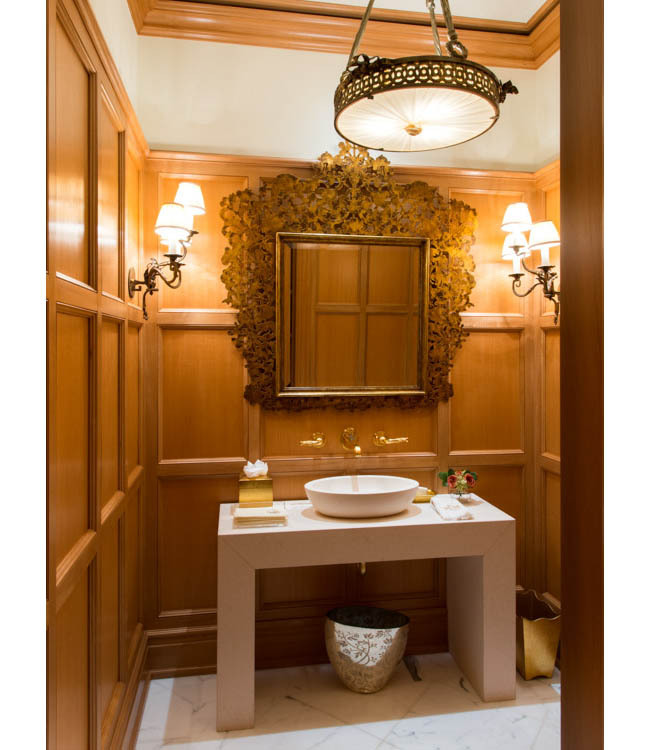 We developed the stone and tile designs for the baths and the kitchen, and worked with the owners on lighting design and technical issues. 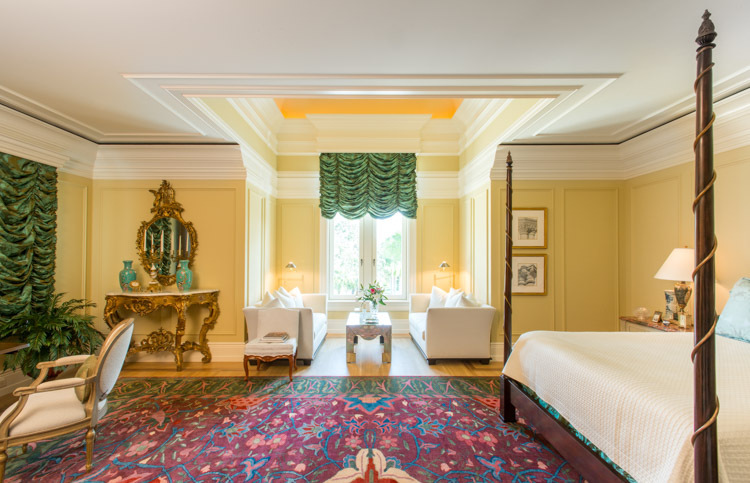 For the furnishings, we specified custom furniture pieces and elegant fabrics, and searched, virtually the world, for exquisite antiques. 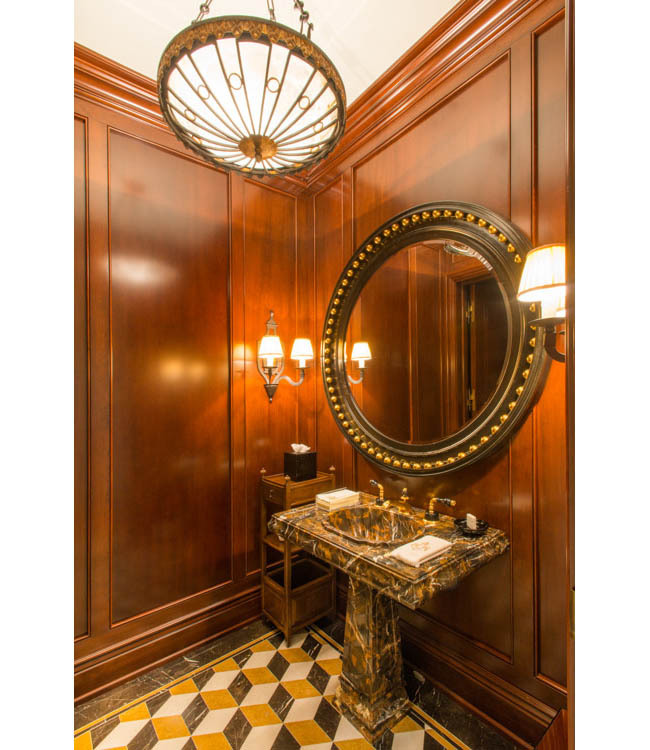 Custom lighting fixtures and lamps were designed throughout and made in Los Angeles. 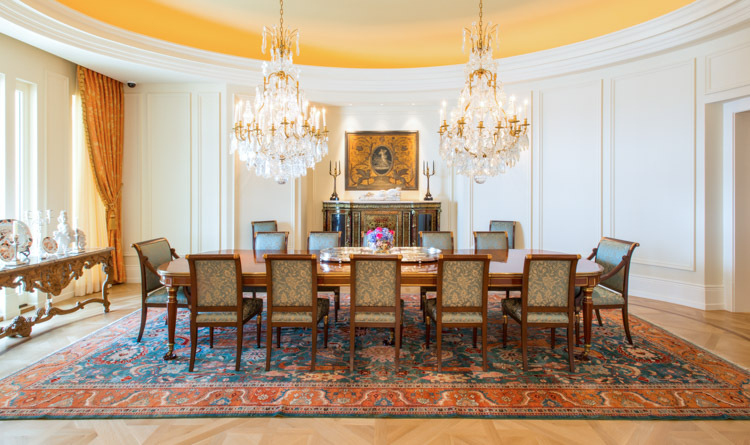 Rare antique Baccarat chandeliers were located for the foyer and dining room. 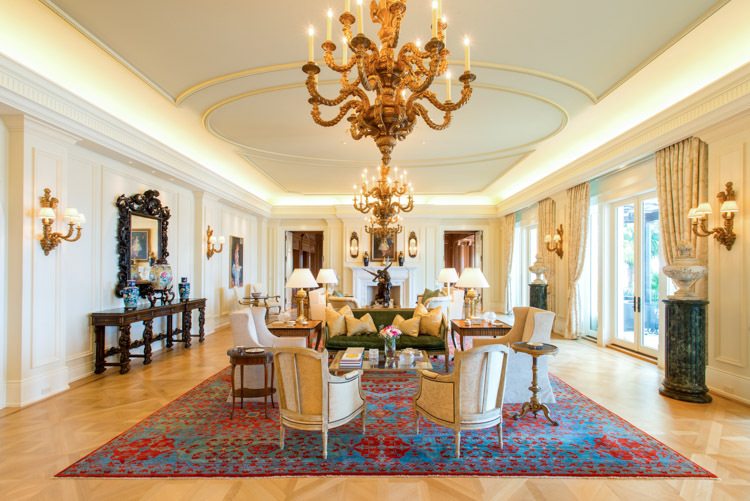 Rugs for each room were custom designed and made in the villages of Turkey. 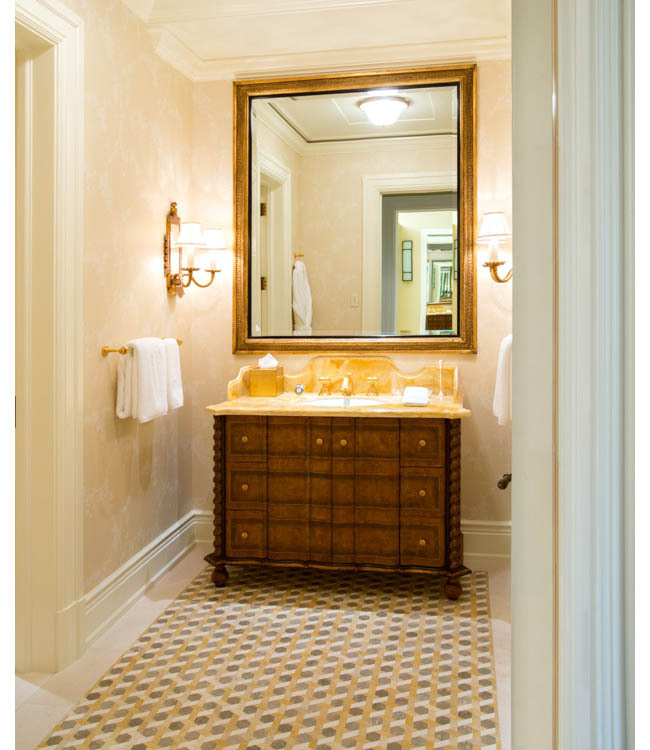 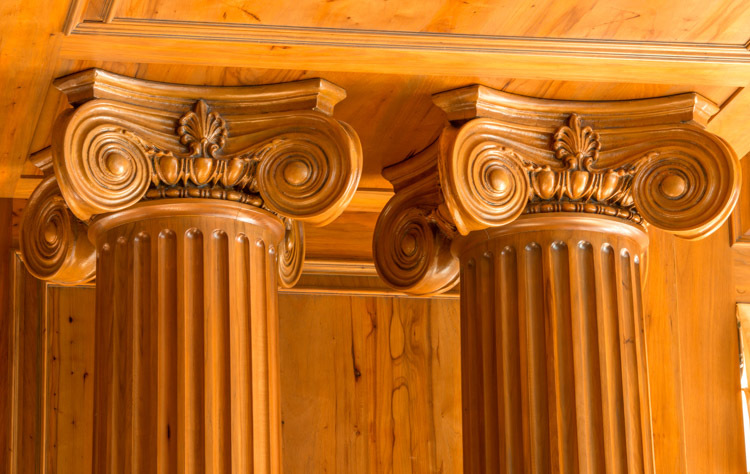 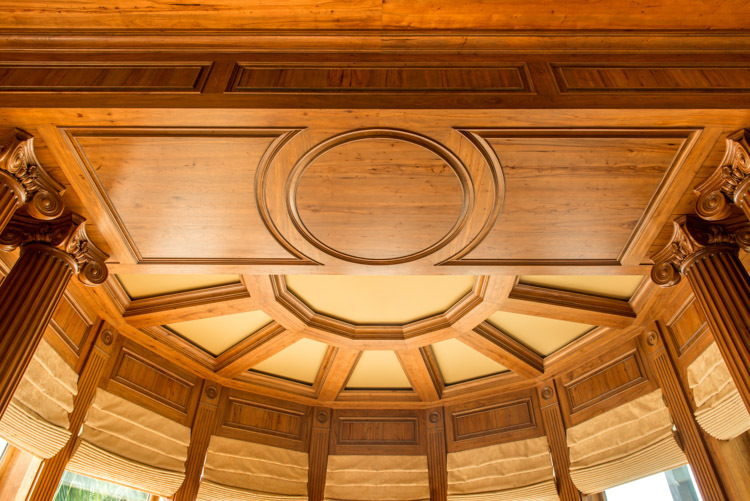 Starting with an unfinished basic structure with plain walls, Hughes Design created a multi-layered design beginning with exceptional millwork, and historically appropriate and elegant interior architectural elements. 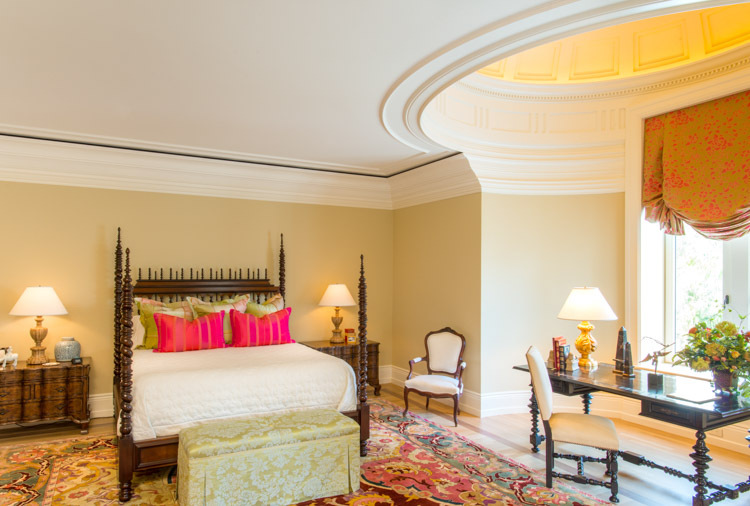 We completed the design with world class furnishings. 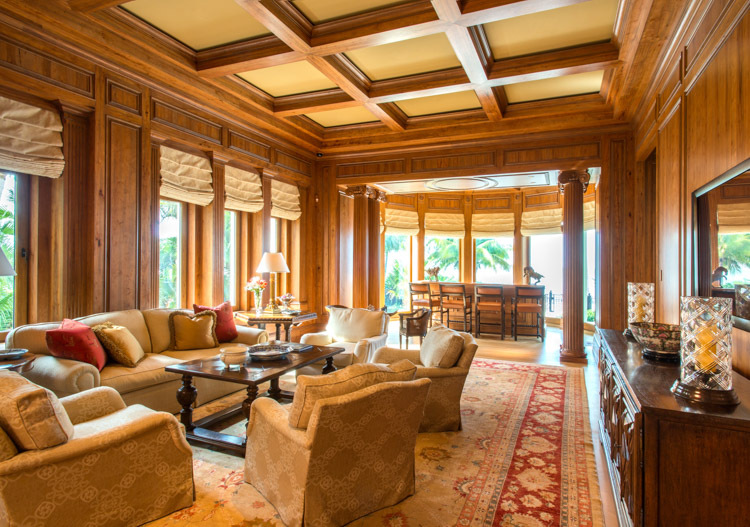 This is truly one of Sarasota’s finest properties.